NEW STORY ARC! 'IN THE SHADOW OF THE TOWER'-Norgal and Agatha are back! A daring new adventure awaits, looming like the Crimson Tower, home of Ulrich the Twice Damned, sworn enemy of Zhaania Kota Ka. With old friends and new, our heroes boldly enter the bloodied pinnacle with bare steel and steady hearts. 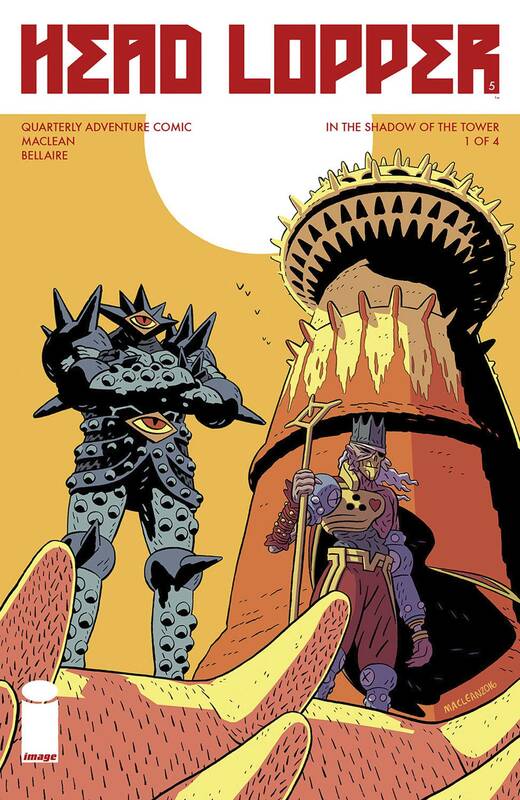 The quarterly series HEAD LOPPER has returned!